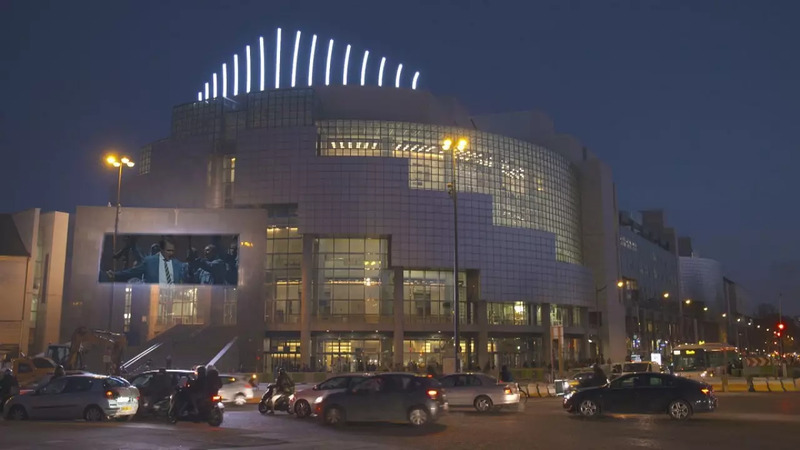 The Opéra Bastille in Paris is celebrating its 30th anniversary. The modern opera house was commissioned for the bicentennial of the French Revolution. The theatre attracts one of its youngest audiences. The Bastille is a theatre of today; a modern theatre which has made drawing vast - and varied - audiences its mission. When the curtains rose for the first time at the Opera Bastille, it unveiled a colossal work: 'Les Troyens' by Hector Berlioz. The celebrated Russian director Dmitri Tcherniakov is reimagining the play in a new production to mark the anniversary. Tcherniakov spoke to Euronews. "Hector Berlioz is a very visual composer, very colourful. On stage, he tells you a story in detail. It's a huge palette of colours." In the five-act epic, the French composer retells the exploits of Aeneas. American tenor Brandon Jovanovich sings the reinterpretation. "The opera consists of two parts with different themes. 'The Sacking of Troy' and 'The Trojans in Carthage'. I tried to unite the story with only one common point - one character - Aeneas." He said “This is a personal story about what’s happening to him. And we found a lot of different sides of his character, some which aren’t clear on the first impression." Dmitri Tcherniakov is among the most experimental thinkers in the Opera world. Jovanovich refers to the second part of the opera which is set in a post-traumatic stress clinic. "He (Tcherniakov) has taken it more into an emotional state where he sees the struggle within these characters." Tcherniakov insists that he wants his stage work to be challenging. "The most difficult task is the one I’m more interested in it. I don’t want to do something that is too easy to understand. I like to work on challenging stories, ones that rouse my courage and curiosity." 'Les Troyens' premieres on January 25th. Performances run through to February 12.